Over the cloud, a photo by Saad Faruque on Flickr. 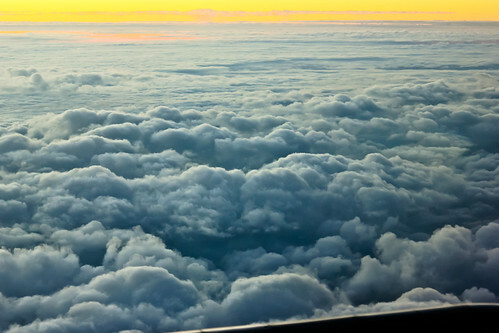 Take a morning flight and look out the window. Sun is coming up making a beautiful orange horizon. Flying over this amazing cloud formation with the perfect light.